Energy saving is an important aspect of everyday life. Have you ever looked at your winter electricity bill and thought “how am I going to pay for this?” and “how did we manage to use this much energy?”. Most of us can relate to this, so if you would like to learn how to improve your energy saving skills and lessen the costs to you and the planet at the same time, read on and reap the rewards! Consider switching to renewable energy. This will help your hip pocket as well as care for our planet. There are a few sources to be aware of such as Wind, Hydro, Geothermal and Solar. You could choose to use one, two or all of them. Solar panels and battery storage are great because they are readily available and allow you to generate your own clean energy. Although there is an initial financial outlay, this can often be offset by payment plans and, at times, government subsidies or loans. 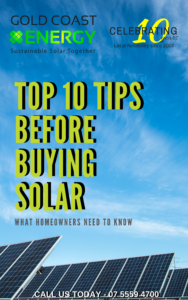 Check with your solar energy provider for any assistance available. 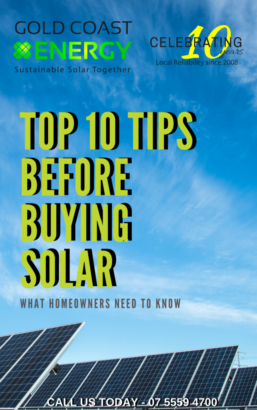 While you are paying for the panels if you have a loan, your energy bills will decrease because unused solar energy is sold back to the grid to further reduce costs. The average time taken for a 5kW solar system to pay for itself in energy savings, in Brisbane is 4 years – according to Choice, (2018). After this 4-year period, your solar panels will continue to save you energy and money. The amount you save will depend on many factors including your energy habits, the time of day you consume power, and your ability to store solar energy. These simple changes will surprise you with the amount of energy you can save. Check your Tariffs for heating/hot water and work out the best tariff choice to reduce your costs. Check your electricity bill or contact your electricity provider for information about Tariffs. It’s all in the Timing… if you have a solar system without battery storage, during the day, run your dishwasher, do your laundry, or use time delays for the oven, slow cooker, laundry, robot vacuum etc. Make use of your solar panels when power is generated by the sun during the day. Depending on your feed-in tariff. Use free solar energy during the day and save money by avoiding the more expensive peak time, in the early morning and evening. Check your electricity bill or contact your electricity provider regarding off-peak times so you can make the most of cheaper rates at certain times of the day. Close … unused rooms, close doors and windows and seal off draughts (try draught excluders, weather strips for doors, seal holes and cracks with silicone). Hot water…Take shorter showers and wash your clothes in cold water. Lower your Thermostat… save approximately 3% energy use for each degree you lower your thermostat. Rug up… use warm PJs, slippers and bed socks plus extra doonas or blankets overnight, layer your clothing (thermal leggings, tops, a down jacket or vest). Think Full… full dishwasher, full clothes washing machine, and full oven! It’s more efficient. Monitor… check your solar monitoring software to keep track of your energy usage. If you do not have solar, install a monitoring system. New Habits… Shower at work or the Gym, open the fridge Less, use a washing line to air dry clothes rather than a clothes dryer, turn off heating and lights while you are not at home and when you leave a room, do not leave appliances in standby mode. Follow the Sun… Make use of the sun’s aspect. In winter, keep South facing windows covered and open blinds/curtains on North facing windows to allow the sun to reduce the need for heating. Maintenance… To maintain efficiency, have your solar panels cleaned regularly and service reverse cycle air conditioners by a professional. Clean your filter regularly and keep it serviced by a professional. Consider these measures for a larger impact on your energy usage. 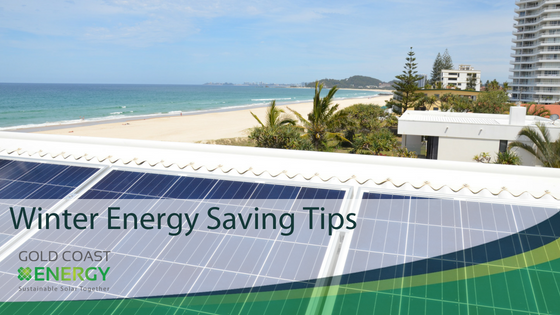 Storage: Capitalise on your solar or other renewable energy by installing battery storage. Windows: Install Double glazing, Honeycomb blinds – double cell, or heavy curtains with pelmets. Hot water: Install an efficient reverse cycle hot water cylinder and set the timer to heat while your solar panels produce the most power (check that your hot water tariff is connected to your solar system, if your hot water is still connected to the grid, set the timer for the cheaper off-peak tariff). Insulate: ceiling, floor and walls at the highest R value R7.0. Home Automation: set a timer using Smart Things software or similar, to switch heating off at bedtime and switch on again in the morning. Automate blinds/curtains to close during cooler weather and at night. Appliances: Buy the correct sized fridge, freezer, washing machine, dryer or oven for your household, but not too large, their energy costs are higher. Replace inefficient appliances by choosing high energy star ratings. Turn off the lights once a week and light candles, use torches or candlestick holders. Enjoy a romantic candlelit dinner. Get out the tarot cards, grab the glow sticks, dust off the Ouija board, tell ghost stories or play a spooky board game together by candlelight… Hot chocolates all ‘round! Cuddle a loved one or a furry friend, dance or exercise to warm up! Create your own ways to save energy this winter that work for you! Ultimately, all the steps you take to reduce energy use will have a positive impact. While I encourage you to consider switching to renewable energy, with energy storage, there are also many small steps you can take. Just begin with one change and see how far you can go! For every kWh of energy saved, you are improving air quality, reducing your carbon footprint, improving your own bottom line, slowing the harmful effects of climate change, while protecting your own welfare and that of future generations.